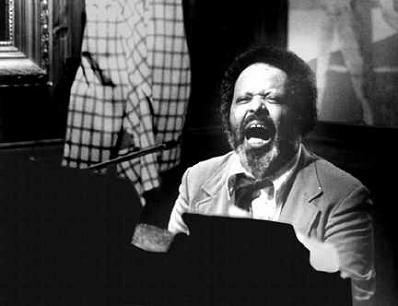 By all accounts and putting the music aside, Jaki Byard was the type of person everyone just wanted to be around. To all that knew him, Jaki’s wit, incredible sense of humor, and positivity, no matter what the situation, were truly remarkable traits that spoke volumes about the man. 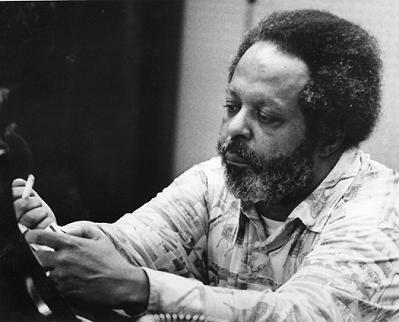 The fact that Byard was a true musical genius was just another area where his greatness was on display, and obvious to everyone that has ever listened to the multi-instrumentalists unique style and delivery. 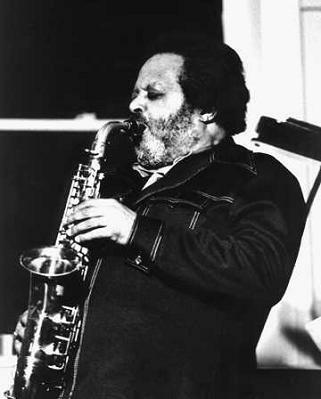 Jaki Byard was born John Arthur Byard Jr. on June 15, 1922, in Worcester, Massachusetts. Both Jaki’s parents played instruments: his father the trombone, and his mother the piano. Growing up with music being a main theme around his house it was rather natural for Byard to start taking piano lessons at the age of eight. Jaki was influenced at an early age by big band and swing music — influences that would stay with him and be reflected in a distinctive style of Jazz that he became known for. Unfortunately the great depression forced the family to discontinue young Jaki’s piano lessons and because of this, he began to pick up and start playing a trumpet that belonged to his dad. During these early years he also spent as much time as possible attending concerts in Worcester (often at Lake Quinsigamond) seeing the likes of Benny Goodman, Chick Webb, and Fats Waller, inspiring him to eventually master the trombone, saxophone, and drums. Like so many of his contemporaries Byard was drafted in 1941 into the army in World War II. The only positive side of being drafted was that he was paired in the service with Earl Bostic who Byard would go on to collaborate with in the years to follow. Byard studied music theory while in the military as well as the works of classical composers such as Chopin and Stravinsky. While serving, he met Julian “Cannonball” Adderley, who became somewhat of a tutor to the young saxophonist. Jaki ended his military service in 1946 and subsequently his career really started to gain traction in the late 1950’s and early 1960’s; the list of prominent musicians that he played with during this period is almost endless. Byard joined Earl Bostic’s band in 1947, after that returning to the Boston area and playing with Joe Gordon and Sam Rivers. Then joining forces with Charlie Mariano and playing gigs in Lynn and West Peabody at Lennie’s on the Turnpike. Byard went on from there and played tenor saxophone in Herb Pomeroy’s band for three years recording with him in 1957. His first solo effort on piano was 1960’s Blues for Smoke; other albums in a trio format soon followed, including 1964’s Out Front! (with Roy Haynes sitting in on drums on one track); he also played piano on bassist Charles Mingus’s 1963 offerings The Black Saint and the Sinner Ladyand Mingus Mingus Mingus Mingus Mingus. His work on Eric Dolphy’s Outward Bound is regarded as a true classic among Jazz aficionados. 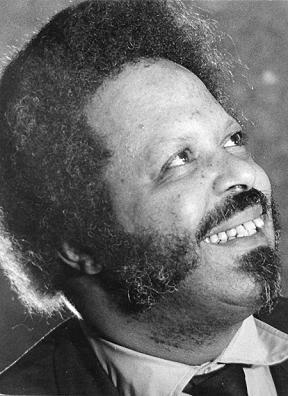 The mystifying reality was, that despite being a tremendously talented multi-instrumentalist, and playing with such prominent musicians of the day, Jaki Byard never got the recognition one would expect. He remained relatively ignored outside of the inner circles of the Jazz world. Byard was always known to put a high value on what he like to call “academia” referring to music education and its vital role in the development of an artist. So it is no coincidence that he became a professor at the New England Conservatory and several other institutions-giving back to his students the knowledge and depth of his craft. Herb Pomeroy in recognizing Jaki’s teaching was quoted as saying that Byard was “the force behind younger musicians in Boston learning about the changes in music.” Jaki continued to tour along with being an educator, filling in for Duke Ellington on piano when needed, and in 1979 fronting a big band he created in New York called the Apollo Stompers. Byard won many awards for his contributions over the years. In 1988 Mayor Ray Flynn awarded him the Dr. Martin Luther King Jr. Award for Outstanding Contributions in Black Music and Presence in Boston. In 1995 NYC Mayor Rudolph Guliani presented him with an award for his outstanding contributions with the Apollo Stompers. Tragically Jaki Byard was shot and killed in his home in Queens, NY in 1999 in a bizarre unsolved homicide with no apparent motive. Jaki is missed by his family, his students, fellow musicians, and everyone else who knew him… but the legacy of the man and his music will live on forever.